Jimmy has been shaping surfboards since 1968 and his experience shows especially well in his wave board series. 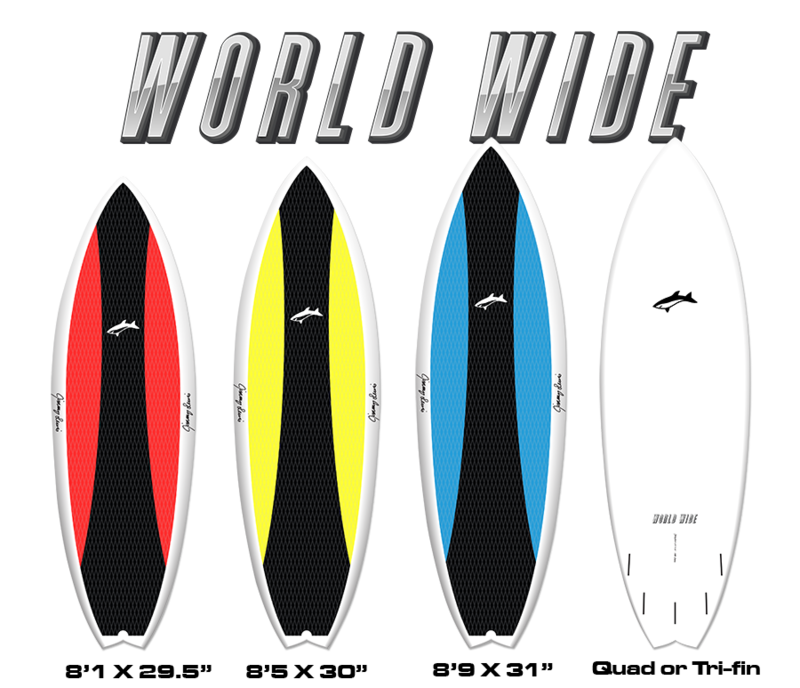 No matter which ones you choose, you know you’ll be riding a very versatile board that will suit an incredibly wide range of conditions. The Super Tech is Jimmy’s latest surf shape for experienced riders looking for the feel of a short surfboard. 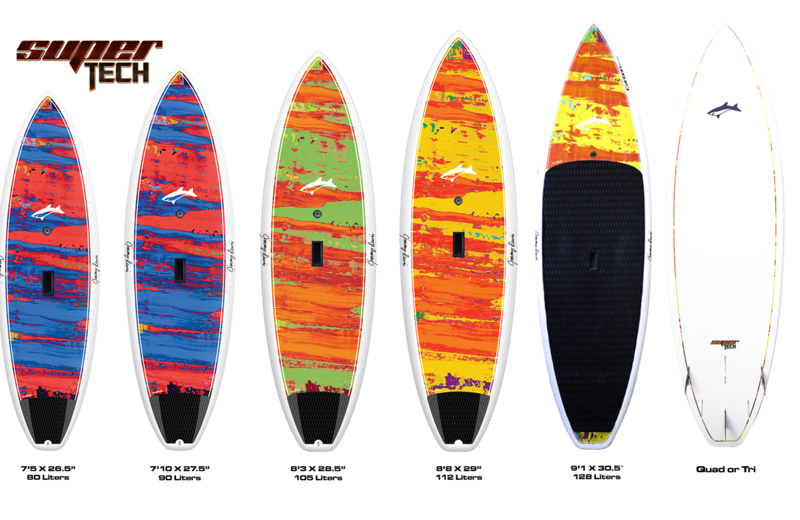 The deck can be waxed with your favourite blend giving you the shortboard feel and performance you’re looking for. The amazing graphics on the board are done by artist, Brad Forsythe. 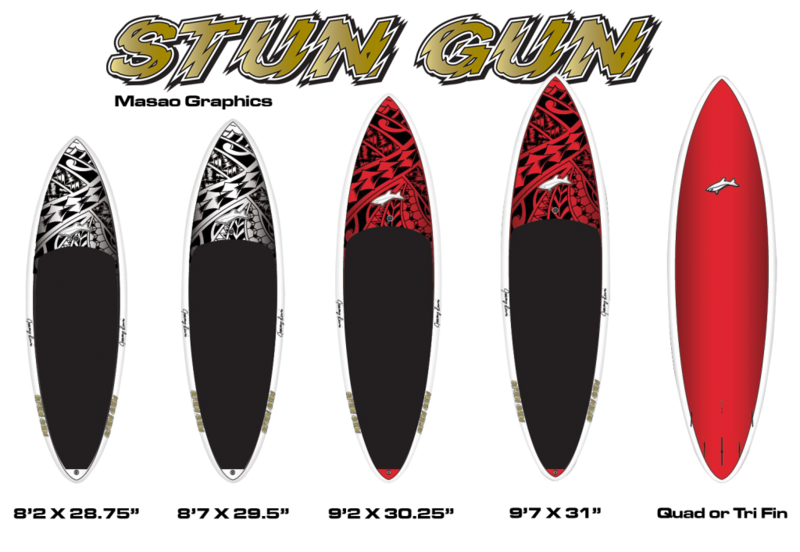 The Stun Gun is designed for larger waves and will make experienced riders smile. It will hold its line at high speed like no other board on the water! The World Wide features a swallow tail and a little extra width over the Super Tech, for those surfers who need a little more floatation but still want an extremely competitive high-performance short board. Full deck pad so no wax is required. The noseriding Black and Blue Machine is for dedicated and experienced surfers looking for a board they can use just like a surfboard. It’s for experienced riders only. You know who you are!